It's a great place to meet like-minded people and although you might think you're only staying one night, you'll end up staying three or four - it's that kind of place! Our fully equipped self-catering kitchen has everything you will need to cook for you and your friends and there is a supermarket less than a minute away. We serve an optional breakfast for Â£3.00 for a 'wee bit of everything', (Cereal, toast, fruit juice, tea and coffee, fresh fruit and a freshly baked Scottish scone) or you can simply prepare your own. 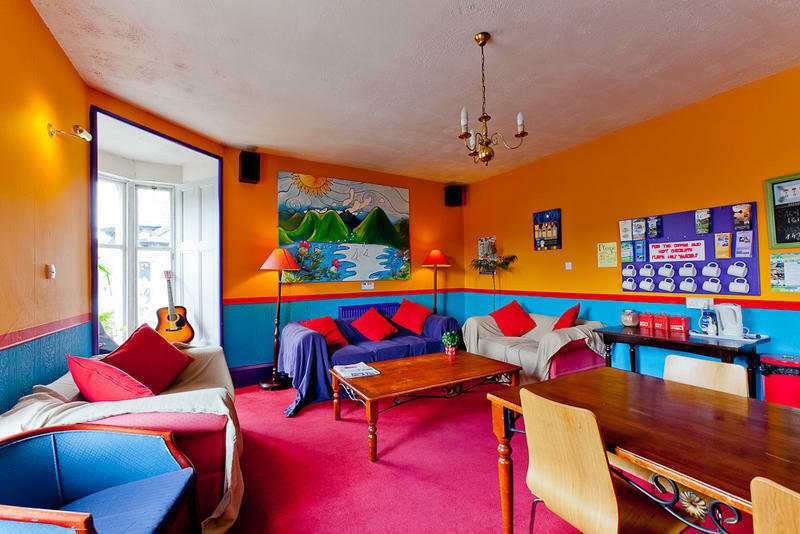 Pitlochry Backpackers Hotel is located on Pitlochry's main street, just a couple of minutes walk from the train station. You can't miss it! It's the groovy looking building opposite the woolen mill.